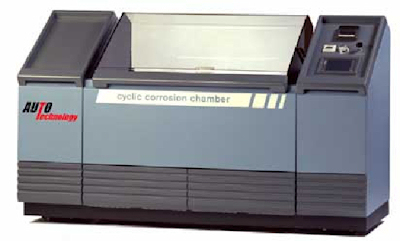 Ensure that your testing results are correct via analysis by corrosion professionals. If your lab is accredited to ISO 17025 for the below listed tests or test conditions, it may be a requirement to participate in a PT program. Repeated PT participation will ensure that your results are consistent over time. Access to results of other accredited laboratories for comparison. This program is sponsored and run by the world’s most experienced team in the corrosion manufacturing and testing industry. Our staff includes the current chairman for ASTM B117 as well as the SAE ACAP committee sponsoring SAE J2334. Only proficiency testing provider with A2LA accreditation. We offer more comprehensive corrosion proficiency tests than most other labs. Most cost effective price for proficiency testing. Select the tests in which you wish to participate. Complete your registration by sending us a form either through mail or email, or complete your purchase immediately on our online store. We will ship test packages for all programs after the order is received and paid for. You will receive a test package containing the test samples and procedures for the selected test(s). Please contact us as soon as possible if you receive a package with damaged or otherwise suspect samples. Results should be reported on the form provided with the package. Your data may be submitted via e-mail, fax or mail, by the due date shown on the form based on your desired report date. Auto Technology will send a summary report for each test method indicating your results along with the results of other participating labs. In order to assure confidentiality we will publish results using unique codes, which you will receive with your copy of the report. Please Note: If a set of results are well outside of historical normal ranges, they will not be used when calculating SD and Mean, but will be included in the report for comparison purposes. The price for each program is in U.S. dollars and includes all samples required for participation. Since these programs are ongoing, there are no specific deadlines for your order or submission of test data. The final test reports are published twice annually as listed in the sign up form (example, June and December). All data submitted six weeks prior to the final test report will be included in that report. Data that does not fall within that timing will be included in the next regularly scheduled final report. Participation is on a prepaid basis. Auto Technology accepts major credit cards, checks, or purchase orders made out to Auto Technology Company. Payment in advance is required via wire transfer or credit card for international customers, as well as any company who doesn’t have open terms. Wire transfers require a $30 charge, and we do not offer terms for PT program purchases only. Shipping is paid by the customer. You can give us your UPS or FedEx account number to ship collect, or we can prepay and add the freight to your invoice. International orders will require additional charges to be determined on an order to order basis if your order is not sent collect against your UPS or FedEx account. All international participation is welcome, however, we cannot be responsible for samples that are not allowed or delayed entry into your country. Some countries may impose duties or taxes. It is the responsibility of the recipient to pay those charges. Shipping charges will be added to subscription fee at the time of subscription, if a UPS or FedEx number is not provided. You will be responsible for any shipping charges that are above and beyond the international shipping charge, if shipping costs exceed this estimate. Due to the lead-time required for preparation of samples, we ask that labs send us notification as soon as possible if they are unable to participate in programs for which they are presently enrolled. No Refund if cancellation notice received after specimens have been shipped to participating lab. Test offerings are subject to cancellations by Auto Technology if subscription levels are not sufficient. A refund will be issued to the participants of the cancelled program. Portions of the Proficiency Testing Program may be subcontracted out by Auto Technology Company. Our customers are the best and most quality based companies in the world. Ford ,GM, Honda, Hyundai, Nissan and Toyota, every branch of the US Military and industry leaders like Kohler, Federal Mogul, BASF, PPG, General Electric, and thousands more. Our products are considered the standard to which all our competitors aspire to match. Our calibration services, testing services, testing supplies and proficiency testing services are also enjoyed by this same customer list. 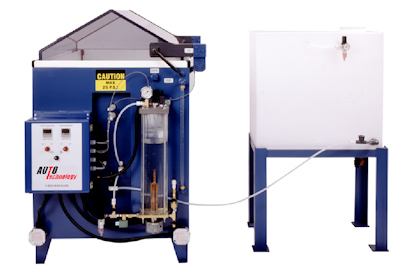 We have more installed Corrosion Test Equipment than all our competitors combined. Anyone can try to build a Corrosion Test Chamber. None of our competition has built their company on the impressive credentials we have. Our President’s resume is the most professionally distinguished in the industry. Current Chairman for the ASTM sub task group for salt fog testing – ASTM B117. Current Chairman for the SAE ACAP (Automotive Corrosion and Prevention) subcommittee. Past Chairman for the Cosmetic Corrosion subtask group for the ASP Corrosion Task Force. United States voting member for the corrosion specifications with ISO. Instructor for a Salt Fog Training Class conducted 3-6 times per year for the past 16 years. Authored and co-authored multiple published technical articles in SAE and international trade journals concerning the corrosion industry. International speaker in the areas of corrosion testing and corrosion equipment manufacturing. We not only sell the industry’s highest performing salt fog equipment, we service it as well. We have our own factory trained technicians and we provided A2LA Accredited Calibrations to not just our equipment but to our competitions also. We offer Preventative Maintenance Programs allowing your staff more productive time and keeping your equipment in top condition with limited downtime. The Auto Technology test laboratory boasts of the largest list of equipment capabilities and test standards accreditation in the industry. Our A2LA Accredited Mechanical Testing laboratory can perform simple salt fog, humidity and CASS tests as well as the most advanced cyclic corrosion tests written. Temperature, humidity, UV, immersion and solution spray are also offered. Call for a quotation and copy of accreditation certificate. Our three product lines; the Standard Chamber , MPF Muti-Purpose Fog Chamber and CCT Cyclic Corrosion Chamber, not only cover every current Corrosion specification existing; they are the ones that most of these specifications were based on. From the 65+ year old standard ASTM B117 to the most sophisticated tests in the industry-GMW14872, SAEJ2334, Honda CCT-A, Toyota CCT TSH 1555G, Ford CEPT L467, you can be confident that Auto Technology Company chambers perform and continue to perform long after the others are gone.